Fish and chips done the American way! This is a great recipe for your lunch menu, try it out. Thinly slice the fish to resemble thin schnitzels. Seasoned the fish with Cajun Asian Spiced Mix. Coat the fish in the flour, egg and then polenta. 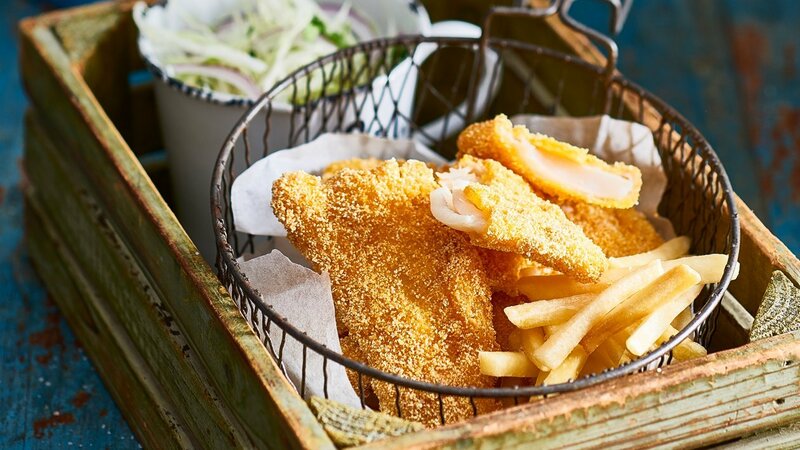 Serve fish with French fries and a salad. Corn meal or polenta will give the crust a golden yellow glow and perfectly crispy texture while keeping the fish moist and juicy.